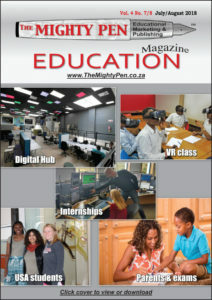 The July/August issue of The Mighty Pen is available for download. As in previous issues, this one is packed with useful information. During exam time parents are often stressed out more than their children. The article Exam advice for Parents contains useful tips that can help parents to support their children, as well as to preserve their own sanity. One of the leading articles in this issue deals with virtual reality. It showcases the work Sangari (a member of ADESSA) is doing with virtual reality in the world of education. And there is much more. Happy reading! Previous PostEffectively Selling to Schools WorkshopNext PostDo you plan to visit Edutech this year?